Anchorseal χρησιμοποιούνται με ηλεκτρικούς μετρητές ή μετρητές αερίου ή νερού και συνήθως χυτεύονται σε πολυανθρακικό. 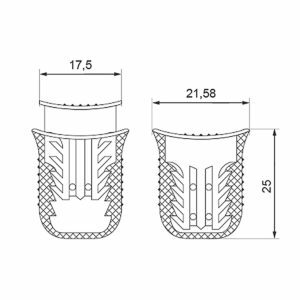 ANCHORSEAL manual metersel type plastic seal used with metallic sealing wire. Meter security seals – Sealing security solutions used mainly in securing equipment and control devices from activity domains like electricity, gas, oil and fuel transport and/or general merchandise. Meter seals (Пломби за топломери, Metara brtve, Σφραγίδες ασφαλείας του μετρητή, Méteres biztonsági plombák, Sigilli di sicurezza per contatori, Meter-Sicherheitsdichtungen) are disposable tamper-evident security seals which restricts access to closed objects, for security acces purposes, for those who do not have clearance to interfere. Highly usable on securing utility meters devices, taxi meters devices, and control cabinets to provide tamper evident security. 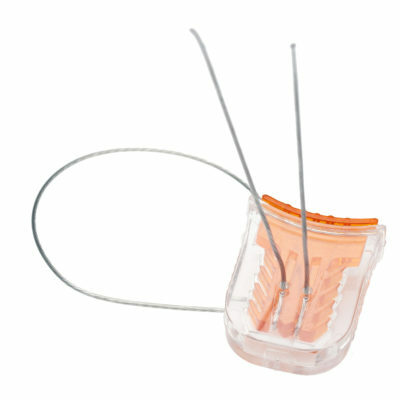 Meter security seals are used with electric or gas or water meters and usually molded in polycarbonate. The transparent body of the Anchorseal means that the locking mechanism is visible and can provide clear indication of tampering. Meter security seals can withstand exposure to heavy sunlight, extreme rainy and icy weather, and a wide range of negative temperatures. Designed for only a single use, they are destroyed when removed. A metallic wire is used for increasing the security strength of the seal. Some meter seals contain components which glow under ultraviolet light, allowing the seal to be easily located in darkness. Anchorseal is client customized with company logo, serial number and barcodes laser printed on them without the possibility that the print will be erased accidentally or by purpose. Meter security seals are not designed to resolve all security problems. The effectiveness of seals is strongly dependent on the proper protocols for using them. These protocols are the official and unofficial procedures used for seal procurement, storage, record keeping, installation, inspection, removal, disposal, reporting, interpreting findings, and training. With a good protocol, a modest seal can provide excellent security. On the other hand, a sophisticated seal used poorly may be worse than useless if naively trusted.